Dr. Gregory Casey is an Instructor in Cell Biology and Anatomy at Louisiana State University Health Sciences Center School of Medicine and an Adjunct Instructor at Louisiana State University Health Sciences Center School of Nursing. He received a Bachelor of Science in Biology from the University of New Orleans and a Doctorate in Cell Biology and Anatomy from Louisiana State University Health Sciences Center. Dr. Casey teaches gross anatomy, histology, embryology, and neuroscience to a range of undergraduate, professional, and doctoral students throughout the Health Sciences Center. 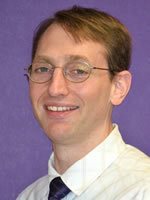 He has twice been nominated for the Junior Faculty Excellence in Teaching Award. In the School of Nursing, Dr. Casey teaches Human Anatomy and directs portions of the laboratory cadaveric dissection experiences. Dr. Casey is certified by the National Certification Board for Therapeutic Massage & Bodywork and he serves as a reviewer for the International Journal of Therapeutic Massage & Bodywork. Dr. Casey has two research projects in the Department of Cell Biology and Anatomy. The Interactive Atlas of the Human Skeleton (IAHS) is a project that develops video and computer code to make learning the bones of the human body more accessible to students. For each bone, a short video, 3D interactive animation, and a self-assessment quiz is developed to enhance student learning. Dr. Casey is also working in cadaver-based translational research. He is interested in developing more educational and clinical tools using videography and computer code. He is open to collaboration with other faculty who are interested in these areas and massage research. 2. Swartz, WJ; Spriggs, LL; Oliver, PD; Venuti, JM; Casey, GP; Whitworth, RH Jr (May 2007).Survival of a gross anatomy course in the wake of Hurricane Katrina Clinical Anatomy 20(4): p 357-361. 3. Casey, GP; Roberts, J; Paul, D; Diamond, I; Gould, Harry J 3rd (Janurary 2010) Ranolazine attenuation of CFA induced mechanical hyperalgesia Pain Medicine 11(1): p 119-126. 5. Casey, GP; Sedlmayr, J; Oliver, PD; Cork, RJ. Gross Anatomy of Horseshoe Kidney: A Case Report Poster Presentation at Experimental Biology Meeting presented on April 21, 2009. 6. Casey, GP; Oliver, PD; Cork, RJ. Interactive video animations as a study guide for the human skeleton: 1. The scapula Poster Presentation at Experimental Biology Meeting on April 23, 2013. 7. Campeau, L; Casey, GP. Situs Inversus Totalis: A Cadaveric Case Report Poster Presentation at Experimental Biology Meeting on April 22, 2013.